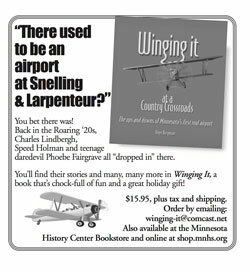 The Park Bugle is a community newspaper serving the St. Paul neighborhoods of Como Park and St. Anthony Park and the cities of Lauderdale and Falcon Heights, Minn. The Bugle reports and analyzes community news and promotes the exchange of ideas and opinions in these communities.The Bugle strives to promote freedom of expression, enhance the quality of life in the readership communities and encourage community participation. The Park Bugle is published by Park Press, Inc., a nonprofit organization guided by an elected board of directors. Currently serving on the board are Josh, Becerra, Ted Blank, Betsy Currie, Elizabeth Danielson, Michael Griffin, Chris Guanera, Gabrielle Lawrence, Beth Maddock Magistad, Joey McGarvey, Bob Milligan, Merry Rendahl, Steve Plagens and Matt Vierling. 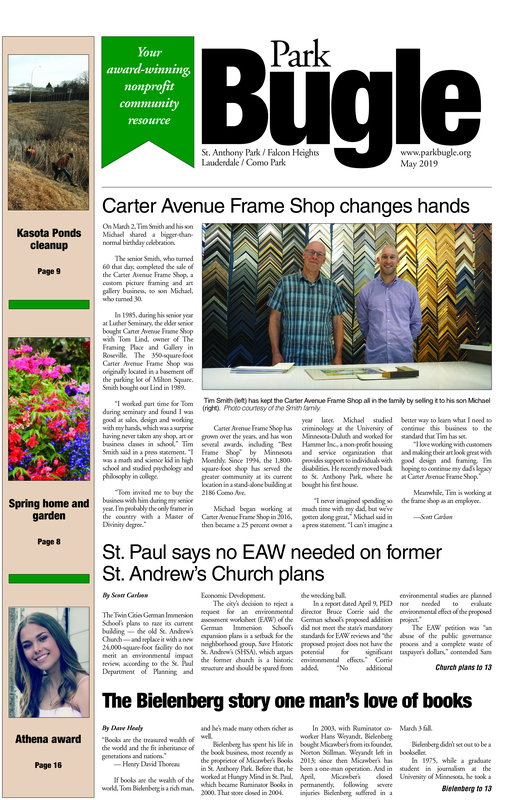 The Bugle is printed at Cannon Valley Printing in Northfield, Minn., and distributed free to residents of St. Anthony Park, Como Park, Falcon Heights and Lauderdale and to local businesses. Contributions can also be made securely online by clicking on the GiveMN button in the upper-right-hand corner of this page, or by going to the GiveMN site here. Want to contact us? Email editor@parkbugle.org. All content on this site is the property of Park Press Inc. and protected by United States and international copyright laws. The compilation of all content on this site is the exclusive property of Park Press Inc. and protected by U.S. and international copyright laws.